A care bundle is a group of individual evidence-based best practice Interventions, that when grouped and used together have been shown to reduce infections and improve patient outcomes. In day to day clinical practice, these actions and interventions may not always all be done consistently thus care may vary for patients. By implementing care bundles, these care actions become MUST DO tasks, and ensure consistent, evidence based patient care. In order to ensure implementation, measuring the compliance will be necessary. This way, healthcare providers can use the care bundle as an audit tool to assist with improving and measuring the implementation of key elements of care. Remember, picking and choosing parts of a care bundle is not recommended. These are evidence based interventions and work best when all implemented together. Therefore when auditing a care bundle, if any one component is not done or missing, then that particular episode of care is considered not complaint with the whole care bundle. The Ultimate goal of any care bundle is to reduce Healthcare Associated Infections –HCAI. 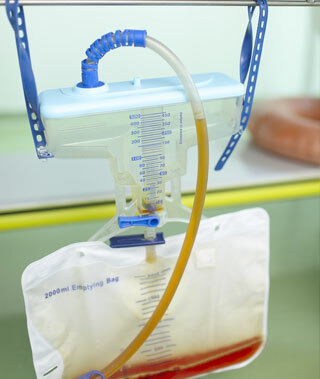 With the Urinary Catheter care bundle the aims are to reduce the number of urinary catheters in situ and to reduce infections associated with those devices that are needed. Urinary tract infections are one of the most common types of HCAI – Healthcare associated infection. Approx. 60% of these urinary tract infections are CAUTI – catheter associated urinary tract infections. According to The hospital infection society, the cost of a single urinary infection has been estimated at £1,122 per patient. In long term care and care of the elderly, many patients have long term urinary catheters in situ. Introducing the care bundle, may assist with identifying patients who might benefit from having a trial without a catheter. A urinary catheter care bundle includes actions for inserting a urinary catheter and a separate bundle for managing the catheter when in situ.